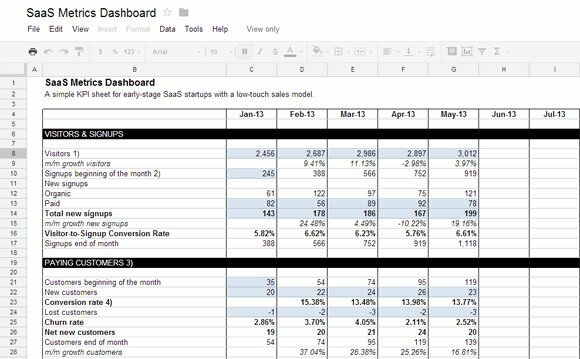 If you are running a SaaS startup and want to prepare a nice dashboard with the KPI metrics then you can access this awesome Google Docs spreadsheet template with a template that you can use in your startup. 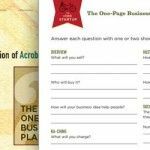 This business plan template was published on Christoph Janz’s blog and you can download it from A KPI dashboard for early-stage SaaS startups. Christoph has helped quite a lot of SaaS startups to create their dashboards and today he is willing to share his knowledge with other entrepreneurs who want to keep track of the important metrics of a SaaS startup and fine-tune the KPI dashboard. 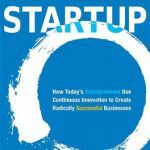 We agree with him that every situation is a bit different but there are some common features that may overlap so this free template may be useful for other entrepreneurs who are in a similar position of managing a SaaS startup (Software-as-a-Service). Definitely other startups may find this KPI dashboard template for SaaS very useful since it also allows you to communicate what KPIs are important for the startup. The dashboard looks quite similar to the financial planning sheet that was previously posted. 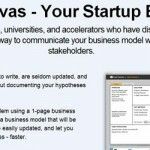 This free SaaS Plan template may help you to keep track of all the important metrics in a SaaS startup. Below the spreadsheet area you can find some useful charts showing the core metrics. For example, you can find charts for Visitors vs. Signups, the Signups & Paying Customers, the Customer Acquisition Cost (CAC), the Cash you have in the Bank, etc. Above are just a few examples of charts you can find on this template. Even if this template is created in Google Docs, there is also an Excel version but Christoph will share it for free if you send him an email or if you pay with a Tweet. 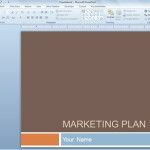 There are many other free startup templates that may worth to check, for example the lean startup PowerPoint template. For example, you can check how to make cohort analysis charts in PowerPoint or download the Lean Canvas template if you want to prepare or communicate your business model. The Google Docs spreadsheet also contains a column on the right side so you can learn how to read the template and he promised to add a few additional details. It is totally worth to read this post by David Skok on SaaS Metrics.